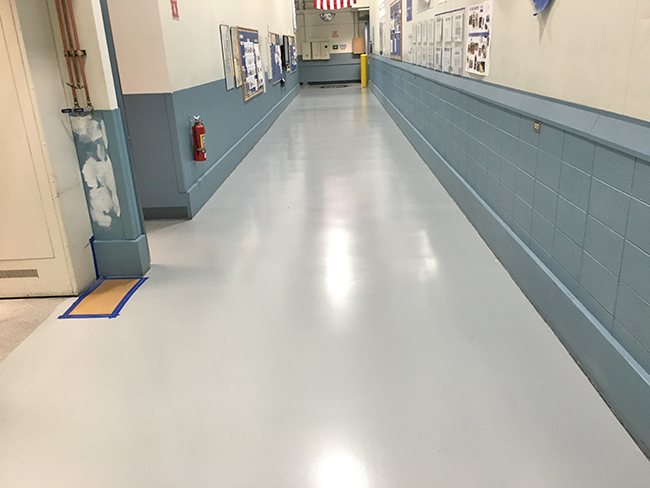 A manufacturing client in Milwaukee was looking for a durable concrete floor coatings system that was easy to clean, highly abrasion resistant and high traction; they engaged Floorcare USA for their concrete coating needs. In addition to seeking the best solution, this particular manufacturing client seeks out the best partners. Not all epoxy concrete coating contractors are equal nor are the products, systems and solutions they use. 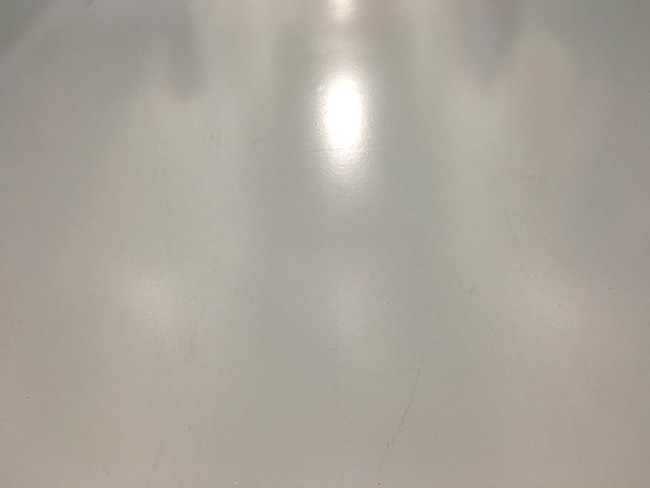 Be very cautious when partnering with a painting contractor or “do it all” contractor that doesn’t specialize specifically in the application of concrete floor coating solutions. Floorcare has been business since 1967, providing over 50-years of concrete floor coating, concrete repair, and epoxy coated concrete and decorative concrete solutions. Floorcare USA, Inc., wins awards for their work. Floorcare USA, Inc., has a non-transient work force, with high quality, long-term installation professionals that are OSHA 10 and OSHA 30 certified. Floorcare USA, Inc., out of Waukesha, WI is a FLOORING COMPANY only specializing in the finest industrial and decorative concrete flooring solutions with an installation team that has over 250 years of concrete flooring experience…that is not a misprint, a combined 250 years of concrete floor coating, epoxy coated concrete and urethane coatings for concrete experience. 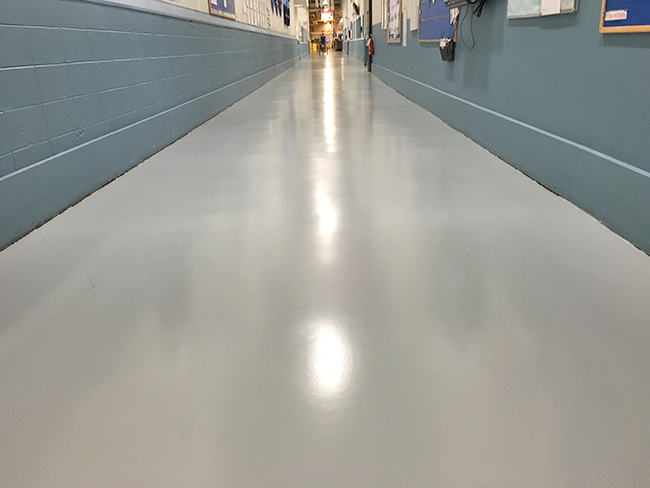 Satin Finish, High Traffic Urethane offered this high-end manufacturing client all the performance attributes they would require in a concrete coating system. The satin finish provides a neutral look, is aesthetically pleasing and offers excellent long term wear characteristics. 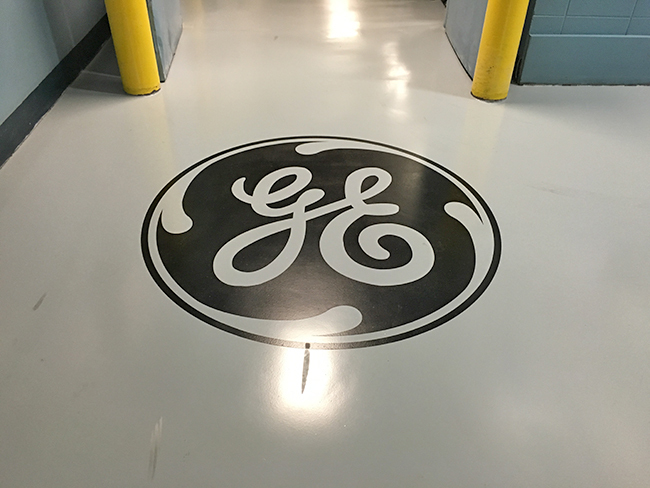 This Milwaukee, WI manufacturing client engaged Floorcare USA for the excellent results they deliver with concrete floor coating systems in a manufacturing environment. 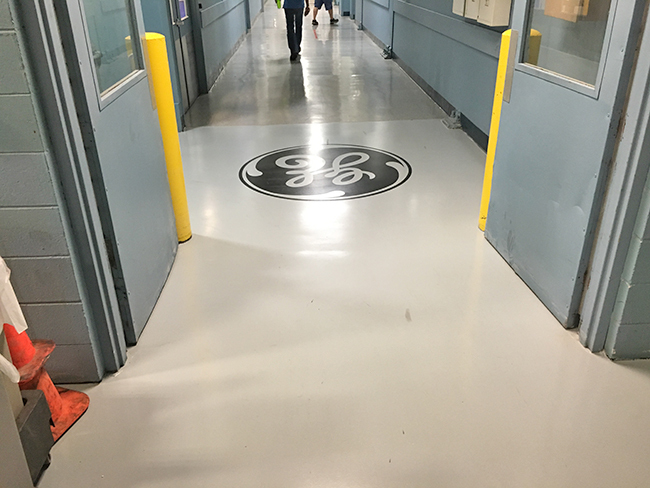 Floorcare USA then took the added steps of including High Traffic Urethane Concrete tour aisles in a yellow color along with High Traffic Urethane concrete safety line striping and finally a custom color floor logo system in the High Traffic Urethane top coat system. The results are both aesthetically and functionally outstanding.